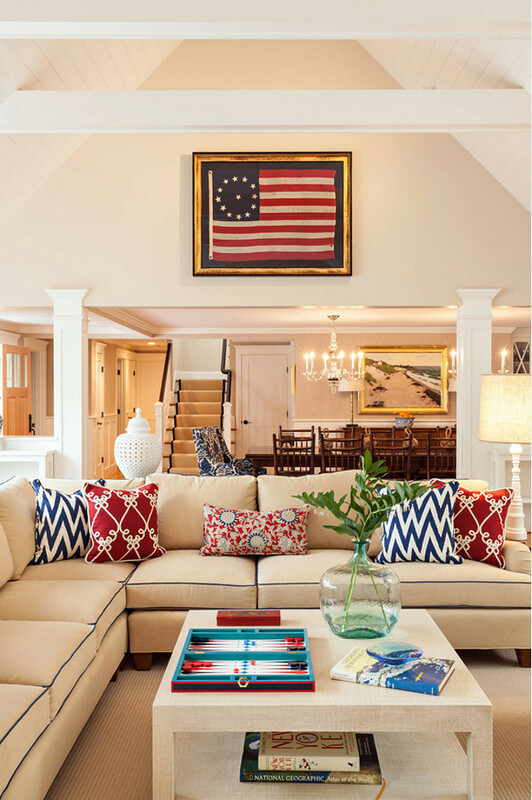 Located in West Falmouth, Massachusetts and designed by Violandi + Warner Interiors, this Cape Cod cottage features truly inspiring coastal interiors. 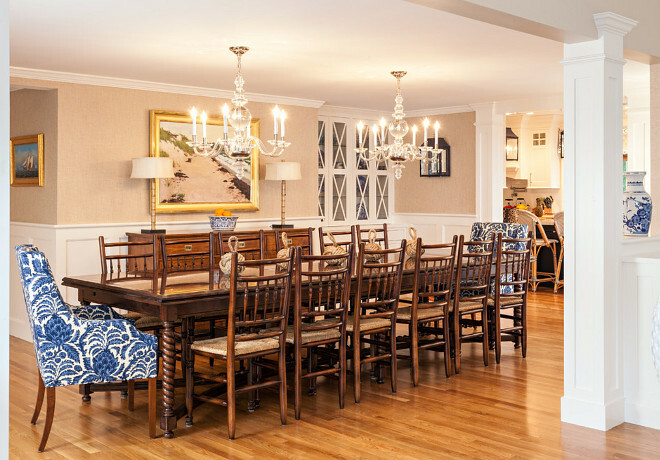 After selling a large, family home in suburban Boston, and moving into an apartment the city, these empty nesters decided to renovate their summer home on Cape Cod. 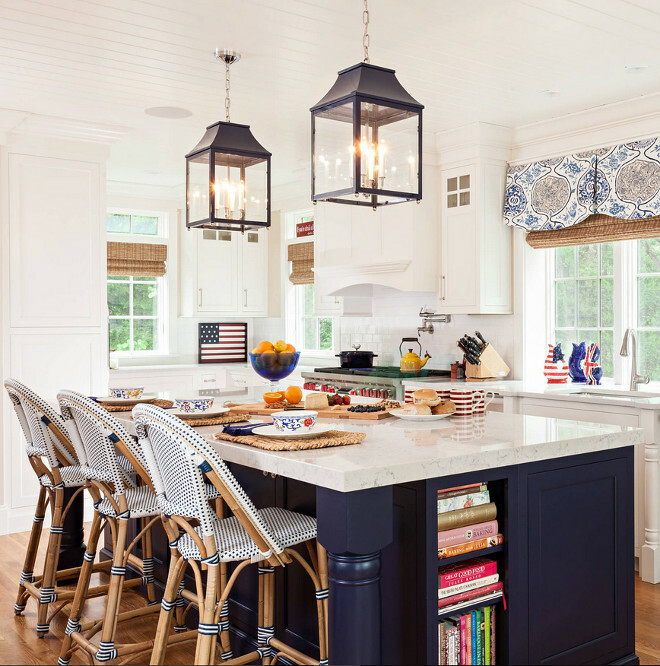 The designer Caroline collaborated with Robin Violandi on the project and the pair created spaces that feature a neutral palette interspersed with pops of color such as the nautical navy and red accents in the living room and a rich, blue hue on the base of the island in the kitchen. Take a look and tell me… isn’t this an unforgettable cottage? 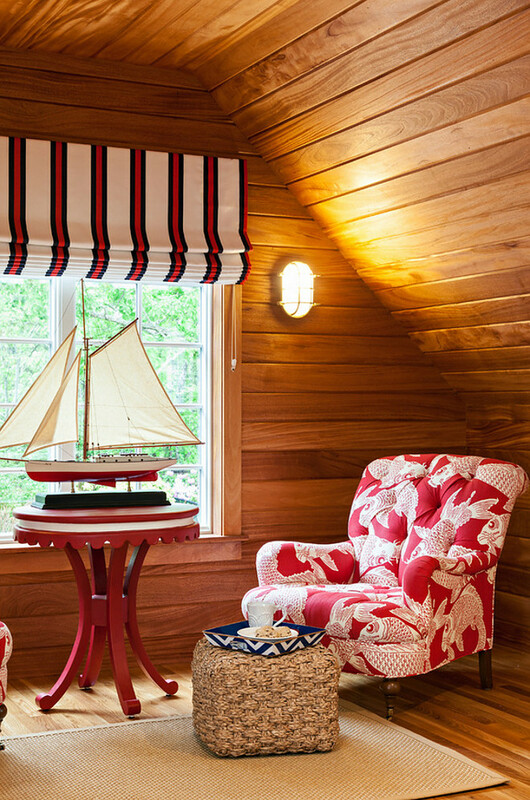 This coastal cottage mixes neutral walls with classic nautical colors. The wall color in the living room is “Benjamin Moore Manchester Tan”. Notice the framed antique flag. According to the designer, the homeowners’ cottage was much more casual before, but since becaming empty nesters, they chose to live with more tailored interiors. While the living room still very comfortable and inviting, pulling everything together gave it a more formal look and made it suitable for year-round use rather than mostly during summertime. “There are lots of nooks and built-ins now,” the designer says. The reading space to the right is new; the designers added light via a sconce so as not to need a floor lamp. The sectional is custom. The fabric is Romo Linara and it’s treated with Fiber Shield. The pillows are custom and were fabricated by Kurmin Kreations. The fabric on the swivel chair is an indoor/outdoor herringbone from Stark. The coffee table is custom burlap wrapped and be ordered through the designers. 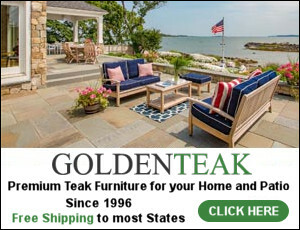 The backgammon set was purchased by the homeowner from Jonathan Adler. Aspen Chair and ottoman (striped chair): Schumacher, covered in Brunschwig & Fils fabric. The rug is wool, bordered with navy leather tape. Isn’t this dining room beautiful? 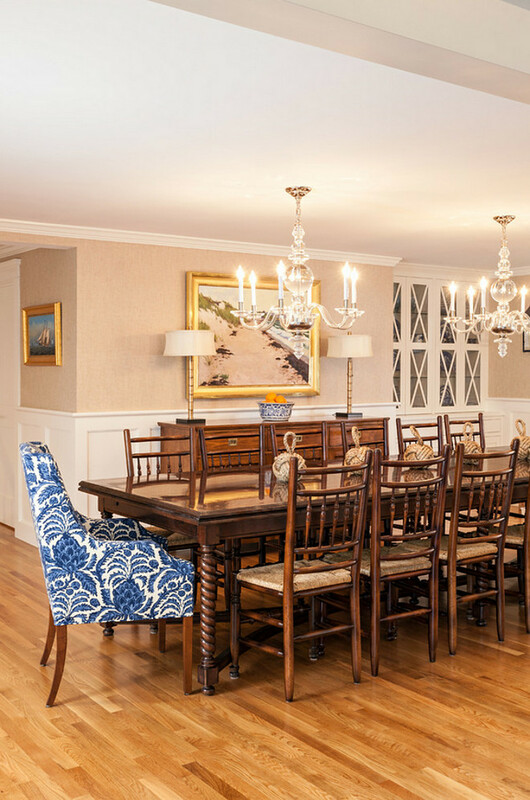 I love the traditional wainscoting, the wallpaper and the double chandeliers. The walls in the dining room are covered in grasscloth by Ralph Lauren. The chandeliers are from Visual Comfort and are even prettier in person. 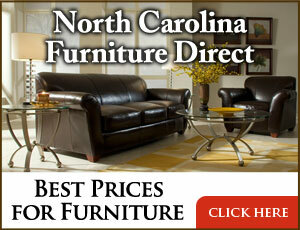 Unfortunately, the tan, brown and blue striped dining room rug had not arrived by photo shoot day. It currently adds more coziness and helps define the dining room area. Flooring is site finished Red Oak floors. The fabric on the host and hostess chairs is Brunschwig & Fils Bromelia Resist in Blue. The Marcy Armchair is from Kravet and can be ordered in any fabric. Table is custom from Kravet and side chairs are from a consignment shop. The seascape is from a local artist. The kitchen is just off to the right. The kitchen used to be where the dining room is, but the designer knew the room needed more natural light, while the dining room was fine without it. Here it enjoys lots of windows and sunlight. 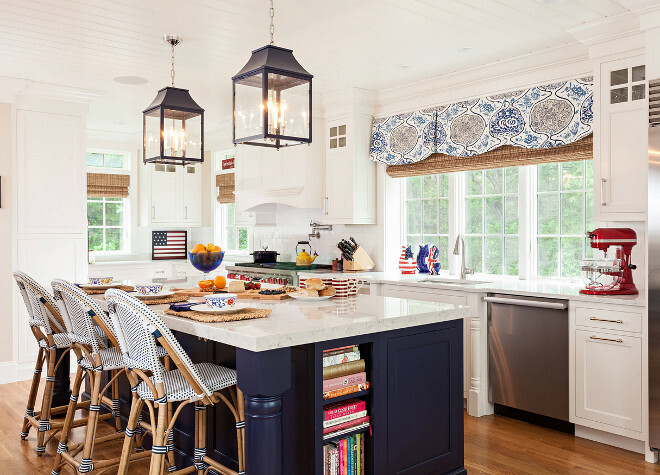 Two large lanterns draw the eye over the island; a long valance adds pattern and more sand and navy hues. Each window has a woven shade. “The kitchen is traditional but not too formal,” the deisgner says. “It’s easy to live with.” For example, the countertops are Lyra Silestone. “Our client loves the look of Carrara marble but knew she needed something more durable that she wouldn’t have to worry about ruining,”. Dimensions: The cabinets on either side of the window are 15″ wide. Ceiling height is 9′. 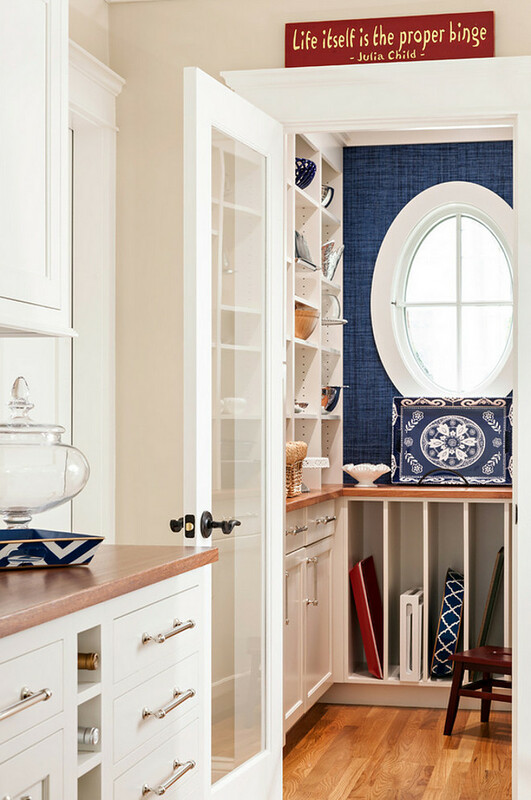 The homeowner wanted navy in every room of the house including the kitchen. 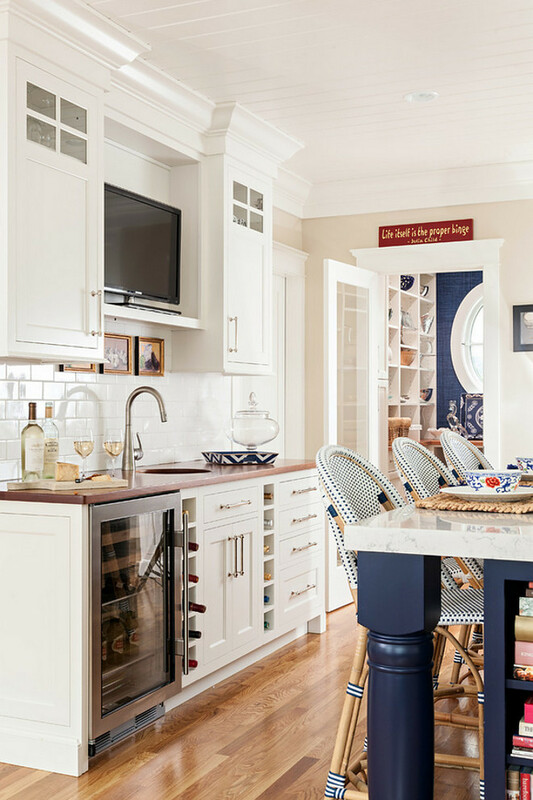 The island paint color is Ralph Lauren Club Navy. The island includes cookbook shelves and the barstools are from Serena and Lilly. The perimeter cabinets are Benjamin Moore OC-17 White Dove and wall paint color is Benjamin Moore Manchester Tan. Adding a bar cabinet in your kitchen is perfect when your dining room is located in the kitchen area. 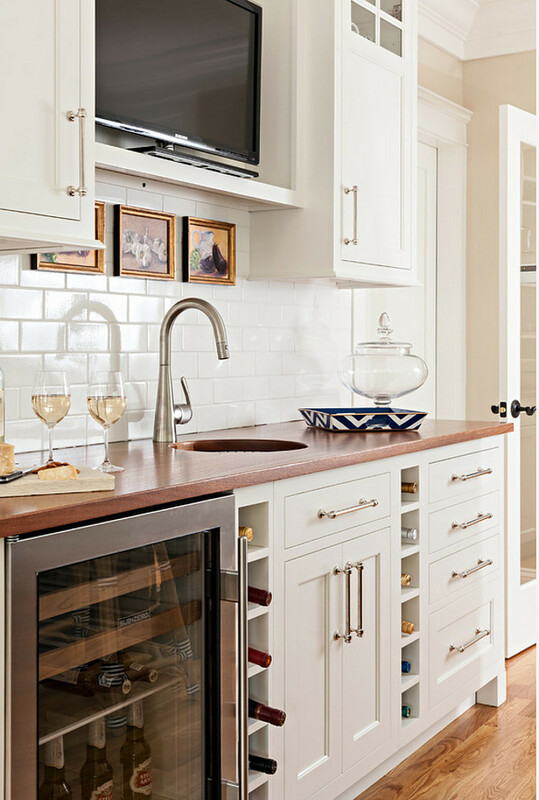 A wet bar in the kitchen serves butler’s pantry as well. The cabinet hardware is from Restoration Hardware in polished nickel. The pantry adds a beautiful splash of navy blue, in the form of a woven Phillip Jeffries wall covering. The wallpaper in the kitchen pantry can be purchased through the designer. The nightstand is wrapped in burlap, while the rug adds a geometric pattern in a subtle tone-on-tone palette. Soft curtains add a larger-scale geometric pattern. A quatrefoil-backed chair upholstered in a raised-velvet animal-print fabric adds a touch of whimsy. “An animal print works almost like a neutral; it goes with just about everything,” the designer says. The homeowners didn’t want the bottom posts of a traditional four-poster bed to block the TV, so the designers created a custom bed with low posts on the footboard. Chair fabric: GP & J Baker. Floral pillow fabric: Schumacher. Bed: custom via The Welch Company. Bedroom paint color is Edgecomb Gray HC-173 by Benjamin Moore. Over the garage there are two separate bunk rooms for future grandchildren, one for boys and the other for girls. 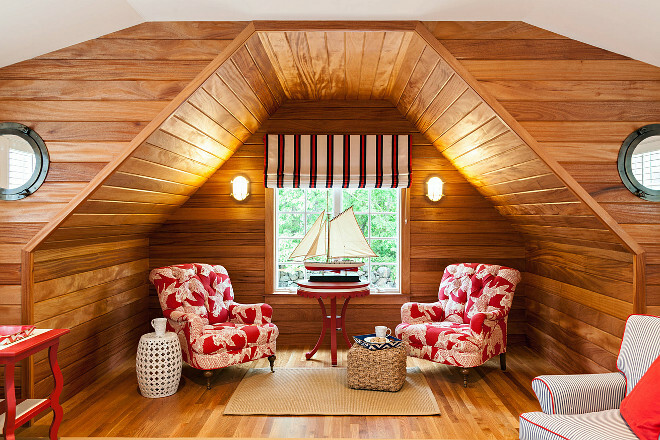 Here in the boys’ room, African mahogany shiplap walls resemble the rich wood ones you would see on a ship. Chair fabric: Manuel Canovas. Nautical sconces: Visual Comfort. Roman shade fabric: Ralph Lauren. Side table is from Oomph. The homeowners created mini suites for their adult children complete with a bathroom for each, so that they and their significant others can have privacy. Their daughter didn’t want any bright colors in her room, so the designers brought in lots of rich textures, patterns and metallics, including fur pillows, a woven rug from Dash & Albert and a zebra-print lampshade. The bed linens are from Pine Cone Hill and sold by the designer. Nightstand is from Bungalow 5. Lovely reading nook with sconce and built-in bookcase. Nook paint color is “Benjamin Moore Edgecomb Gray”. Interiors by Violandi + Warner Interiors. Isn’t this cottage dreamy? 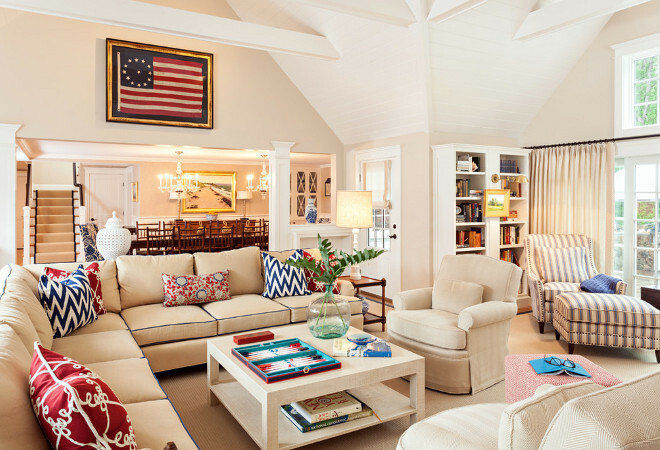 I love everything about it, from the neutral wall colors to the nautical color palette. I hope you had a really great time, could relax and feel inspired. Enjoy your day and we will talk again tomorrow. Sources: Violandi + Warner Interiors. 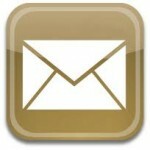 General contractor: Harbor Homes. 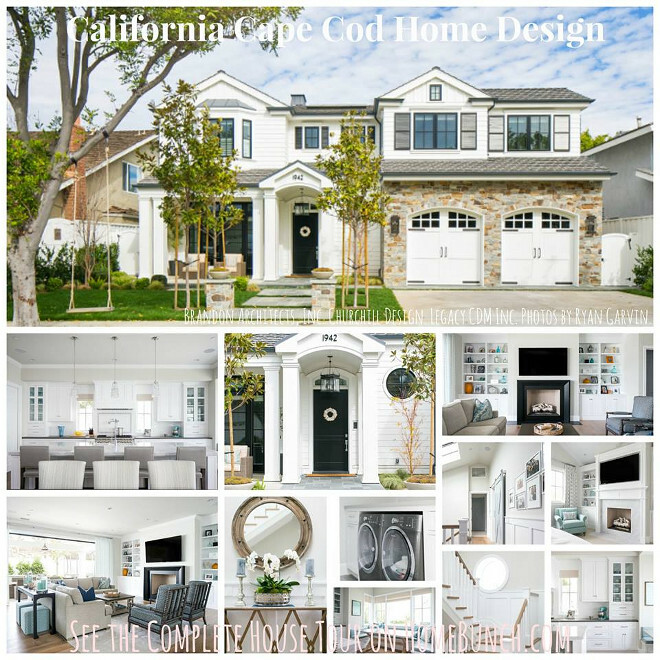 Some sources from Houzz.